Updated with a link to Microsoft's Windows 10 support page. You’ve read the review, pored through the tips and how-tos, and have waited breathlessly for the day that you can download Windows 10. So how do you do it, exactly? We've got you covered. Before you do anything, however, we’re going to give your our standard advice: back up your data. Microsoft will give you the option of wiping your files at various stages during the process. Whether you go that route or not, make sure you’ve backed up key documents and other data to OneDrive, a USB key, or something else—just in case. 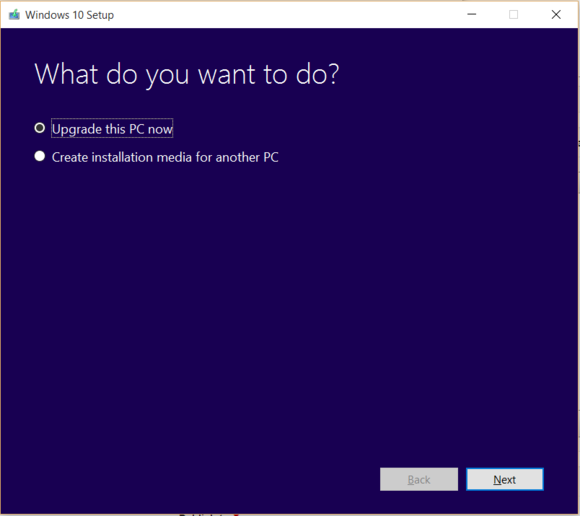 There are three primary ways to obtain Windows 10: either buy a new PC with Windows 10 preloaded, buy a license key to Windows 10 online, or upgrade an existing Windows 8.1 or Windows 7 PC. We’re going to ignore the first option and focus on the latter two, which we’ll consider to be essentially the same scenario. Let’s assume that you’re upgrading an older PC, then. If you own a qualifying Windows PC, you had the option of “reserving” a free copy of Windows 10, an offer which will expire a year from now. If you did reserve a copy, chances are that your PC has downloaded a copy of Windows 10 in the background. 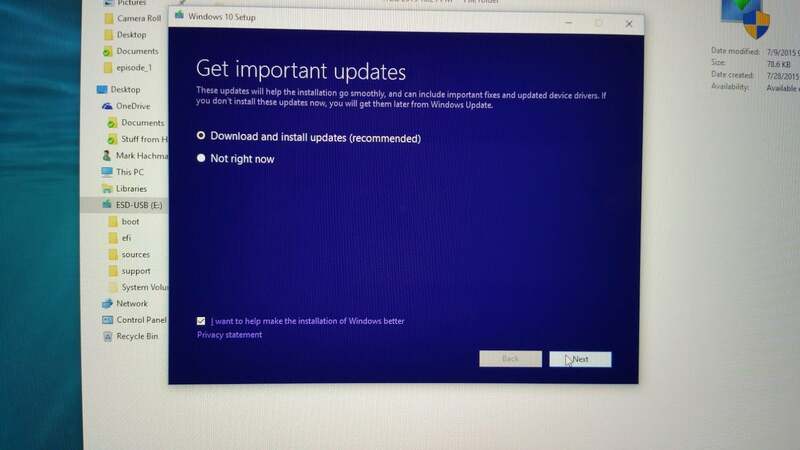 At some point, Windows 10 will invite you to begin the upgrade process. That’s the simplest option, especially if you don’t have any immediate, desperate need to download Windows 10. 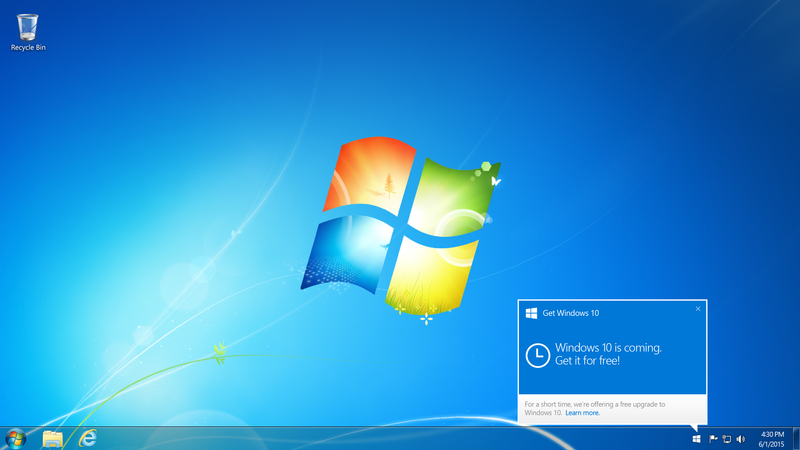 Let Microsoft push Windows 10 at its leisure, and it will end up in your hands eventually. But there’s a second option, one that’s a bit more fun. And that’s to download Windows 10 right now. Traditionally, Windows users would upgrade by inserting an installation CD or DVD into their PC. Over time, users became trained to burn their own .ISO files on their own media. And starting with Windows 8, Microsoft offered the option of restoring a Windows installation from an ISO file stored on a DVD or even on a flash drive. 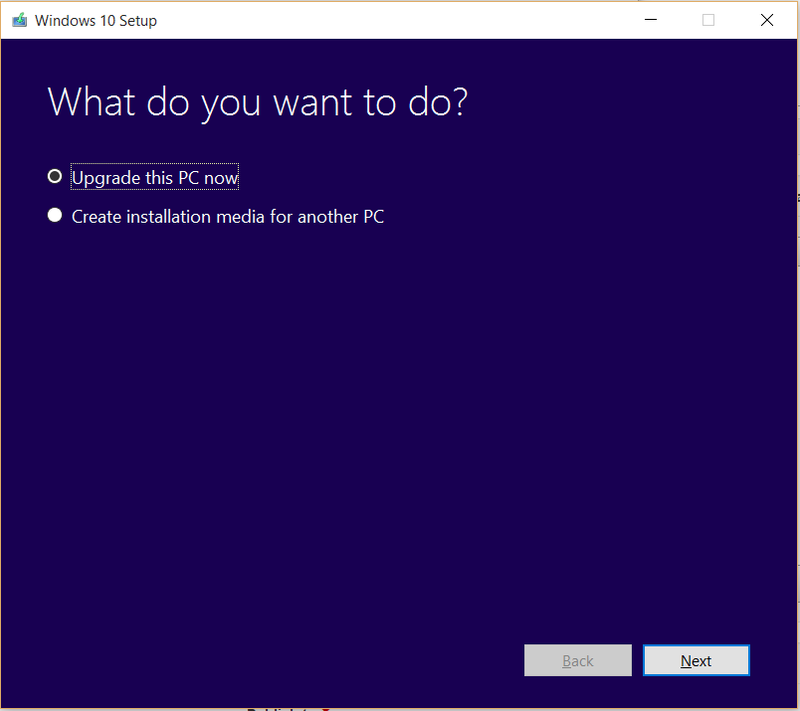 With the new Windows 10 media creation tool, you don’t even need to take that step—it creates a bootable flash drive that you don’t need to futz with. Just make sure the USB drive's at least 3 GB in size. You have the option of using Microsoft’s tool either for upgrading the current PC, or to store the bits on a USB key for safekeeping. On the media creation tool page, select the proper version—check the system settings to double-check whether you’re running a 32- or 64-bit OS. Then download and run it. Though simple, the tool has a number of lovely features—including the ability to simply upgrade the PC. Yes, it’s true—you don’t need the Windows 10 reservation, as the tool will simply jump you to the head of the line. 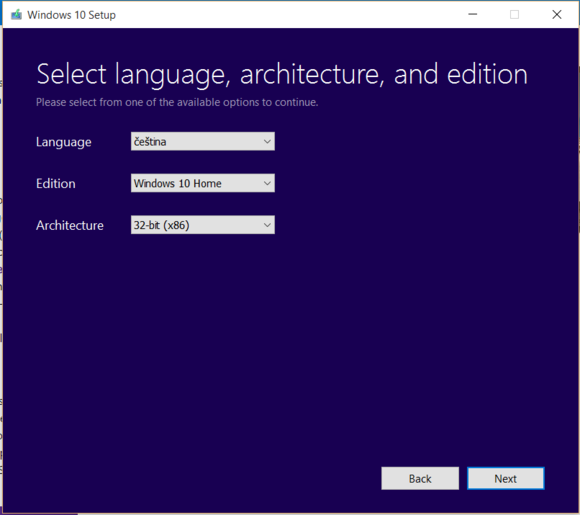 Even better, you can select whether you want Windows 10 Home or Windows 10 Professional, either 32-bit or 64-bit versions, and even the installation language. You can try a clean installation by booting directly from the USB key or DVD; when you do so, you have the option of keeping your files or wiping out everything. However, I ran into an issue where Windows claimed my disk partitions were improperly organized and refused to let me go further. I tried an in-place installation instead. From there, however, the installation proceeded smoothly. Make sure you allow Windows to download relevant drivers as the installation proceeds. You’ll need to agree to a license agreement, and then the installation process will begin in earnest. Make sure you allow Windows to grab updates as it goes. You may run into a situation where Windows asks for a license key. If you’re upgrading from a licensed copy of Windows 7 or Windows 8.1, you can click the tiny “skip” option; Microsoft will dig out the license key from the depths of your machine. If this is a brand-new installation, of course, you’ll need to enter the proper key. That same menu offers a chance to roll back from Windows 10 to Windows 8.1, as well. That option expires a month after you upgrade to Windows 10. 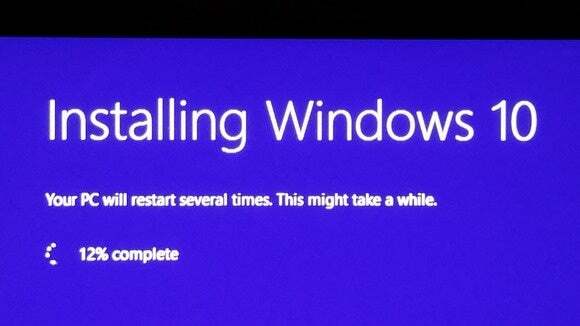 Are you still having problems upgrading to Windows 10? Try Microsoft's Windows 10 support page, complete with chat and phone options. One final note: you can upgrade an earlier Windows 10 Insider build to the "RTM" version using the tool. But doing so will take you off of the Insider track. If you want to hop back on to enjoy further beta upgrades, you can enable it in the Settings. But downgrade to Windows 8.1? Why? Windows 10 is terrific, and well worth the wait. And if you’re feeling a little nervous about your first steps into the brand new world of Windows—don’t worry. Our Windows 10 tutorial will arrive very soon. In the meantime, be sure to check out these 10 killer new Windows 10 features first. Updated at 10:02 AM with a bit more information on the installation process and at 10:52 AM with more details about the Insider track.